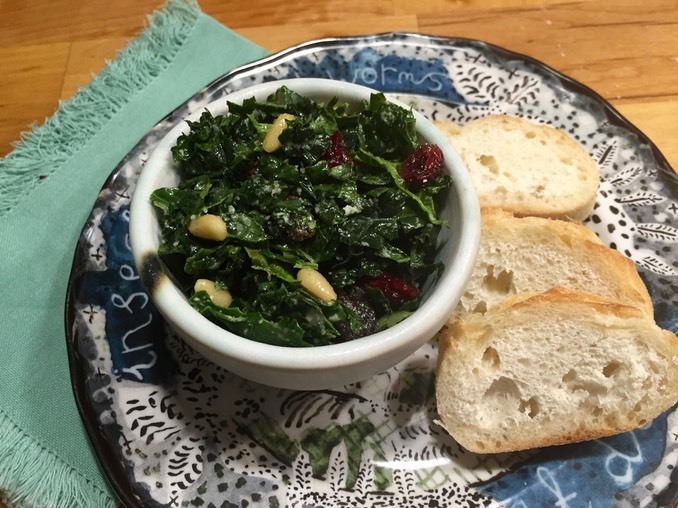 Add kale to a large salad bowl. Stir in Parmesan cheese, lemon juice and zest, olive oil, raisins, cranberries, nuts, and honey. Add about ¼ tsp of salt (cheese is salty) taste until you like it – or until the bowl is empty!! !